This will be the last meetup for 2018. We have a presentation from Andrew Rafas about mocking frameworks, a JetBrains coupon to give away, some pizza and a chance to chat about C++. This talk covers FakeIt and Catch2, with a little bit of HippoMocks. 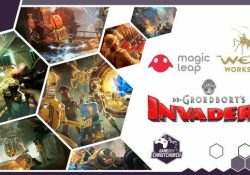 It will be a live demonstration of the lessons learned, and some guidelines about code organization. I’ll be taking us on a deep dive into event driven code, exploring different event patterns and real world implementation challenges. 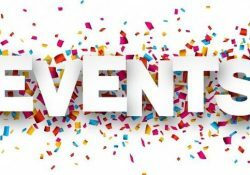 I’ll be talking about the two different types of events – domain events (user actions) and operational events (logs). I’ll discuss some patterns for thinking about event streams, e.g. coalesce, throttle / debounce, grouping by time, count, moving windows of events, projecting. This is an open event, questions are welcome any time. As usual pizza and beer afterwards and a big thanks to our sponsors Company-X and Soda. Insight into Event Patterns Meetup event. Youtube channel of past talks. 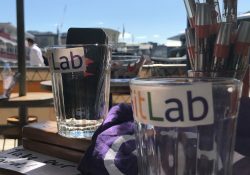 Plenty of GitLab swag on hand for NZ’s first GitLab MeetUp which is happening – in Wellington! This is a user-based event, not a sales / product demonstration. You’ll be interested in this MeetUp if you’d like to hear and share GitLab experiences, and we’ll have a local customer share their GitLab story. A GitLab specialist will also be on hand for Q&A and to provide ideas on how/where your current work could be extended through GitLab. 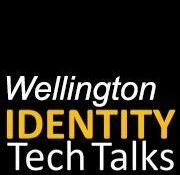 We look forward to seeing you at the next Wellington Identity Tech Talk, where we will discuss the impact and opportunities of Privacy & Consent that are affecting emerging ecosystems across various industries including Banks, Telco’s & Health. With such ecosystems in mind it has never been more important to give consumers the ability to manage and control how their data is shared and used. Please join the discussion with like-minded peers and register here. These talks are organised and sponsored by ForgeRock, but we aim for the talks to be wide ranging and not product-specific. Finding solutions for a safer .nz space. 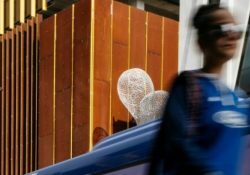 how we can minimise and mitigate technical attacks on the .nz domain name space and protect this vital infrastructure. The forum will be a space for collaboration between agencies inviting lawyers and law enforcement, Internet safety and security experts, government departments, academics, civil society and more. 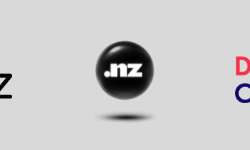 All of this to make .nz a safer and more trusted domain name space. Agenda available on this event page or programme (pdf). Is your organisation represented yet? Take a look at the organisations that have already registered (pdf). InternetNZ event page and programme (pdf). What if we planned public transport with a goal of personal freedom? Join us at Auckland Conversations as we explore this idea with Jarrett Walker, one of the original designers of Auckland’s new bus network. The challenge of public transit today is not just having good ideas but being able to explain them. It’s crucial to integrate the task of planning with the tasks of explanation and of creating leading innovative processes that engage and empower the public. The goal is managing behaviour change in a positive way – changing the way people travel and the positive outcomes that can produce for Auckland. 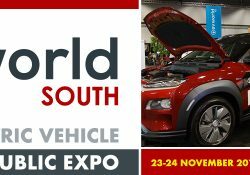 EVworld is New Zealand’s combined Electric vehicle Industry and Public Expo. We are very excited to have Kate Newton from RNZ at this month’s meetup. Description: R has rapidly become a coding language of choice for journalists around the world who create “data journalism”. In this workshop, we’ll explore what data journalism is, how R helps journalists to tell those data stories, and then collectively hack the code behind a recent story published by RNZ that used data analysis and visualisations as part of the reporting process. Bio: Kate Newton has been a journalist for a decade and is currently a reporter for RNZ’s new In Depth team (https://www.radionz.co.nz/news/in-depth/368436/universities-face-a-crisis-of-the-humanities), which focuses on long-form and investigative journalism. Known among her colleagues for being “good at maths” (an extremely low bar in journalism), she has only recently discovered R and its power as a data journalism tool. She is gradually learning and incorporating R into her research and reporting, including publishing her extremely messy code so she can learn from the veterans! What to bring: Laptops. We’ll use Kate’s Github repo (https://github.com/katenewtonnz/humanities) , and for anyone who’s interested in learning more about data journalism, The Data Journalism Handbook (https://datajournalismhandbook.org/) is a great online resource. 96 St. Georges Bay Road Parnell, Auckland. 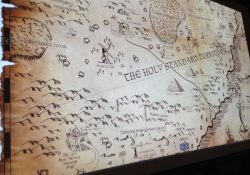 Meetup event: Telling Stories With Data. This month we have three speakers covering a range of topics. Mike Stewart is going to present on various smart home devices he’s been using, including installing smart locks from scratch, automatic plant watering pump, various relays (Sonoff & Shelly) and more. Thomas Howard is going to present on Zoneminder & Motion and how to use this open source software to setup and configure your own home brew security cameras. And finally we’ll have Andrew Lockhart covering building your own IoT appliances using MQTT and Node-RED. 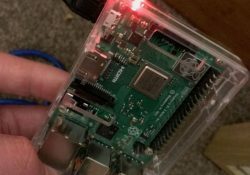 A group of like minded people who are interested in home automation, whether it’s plugging in off-the-shelf IoT lightbulbs, or soldering your own PCB designs doing BLE – and everything in between!